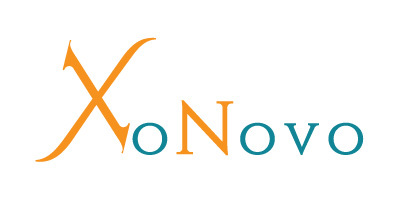 XoNovo is a preclinical-stage biopharmaceutical company that is developing a proprietary small molecule for the treatment of neurodegenerative diseases. XoNovo is financed by an international syndicate composed of J&J Investment Corporation, Takeda Ventures Inc., OrbiMed Israel, and the Israel Innovation Authority, and operates in the FutuRx biotech accelerator in Ness Ziona Israel. XoNovo’s objective is to provide a first-in-class therapeutic for preventing the progressive loss of neuronal function across multiple neurodegenerative diseases. Our short-term focus is studies of lead drug XN001 in support of filing an Investigational New Drug (IND) application for Batten Disease [BD] (also known as Neuronal Ceroid Lipofuscinosis; NCL), a fatal neurodegenerative orphan disease. XoNovo’s IND program leverages recent FDA regulations for an accelerated IND approval process for orphan diseases, and was recently reviewed in a pre-IND meeting. XoNovo utilizes a novel approach for selective modulation of autophagy and axonal transport machinery in neurons. XN001 has shown promising results in in-vitro and in-vivo models of neurodegenerative diseases including BD, Alzheimer’s, Glioblastoma, Muscular Dystrophy and Multiple Sclerosis. Our unique approach is based on the elucidation of molecular and biochemical signaling pathways required for neural function and regeneration. This novel mechanism supports autophagy, a natural cellular system of improving protein trafficking and turnover. Autophagy has been shown to be severely compromised in BD as well as in other neurodegenerative diseases. XN001, a first-in-class drug candidate, is a synthetic small molecule derivative of a natural brain metabolite Lanthionine Ketimine (LK). XN001 augments the autophagy mechanism with therapeutic effects on the structure and function of neurons. XN001 is an orally-available brain-penetrating molecule that has shown initial efficacy in BD cellular and animal model systems with a solid safety profile and potential to treat BD. BD is an inevitably fatal inherited orphan disease caused by recessive mutations in CLN genes, with a prevalence of 1/25-50,000 births in developed countries (www.orphan.net). There are 13 known CLN mutations, with CLN3 being the most frequent cause of Juvenile NCL (JNCL, CLN3 disease). JNCL patients suffer disease onset in early childhood, which is manifest with deteriorating vision leading to blindness, cognitive decline, and onset of epilepsy. Dementia and motor disturbances worsen progressively, with associated psychiatric problems. The disease is inevitably fatal, usually by ~20 years of age. Current treatment is only supportive, consisting of palliative care with administration of anticonvulsive drugs as well as educational, psychological, and psychiatric management. The annual market for NCL is estimated at $0.5-1.0B based on comparable orphan indications with similar incidence (e.g., Fabry and Gaucher diseases). The NCL market has several potential competing drugs: BMN190 for CLN2 (cerliponase alfa, BioMarin Pharmaceuticals), ABO-202 as AAV-based gene therapy for CLN1 (Abeona Therapeutics), and AAV vectors for CLN2 (Spark Therapeutics). Clinical trials are ongoing for BMN190 enzyme replacement in CLN2 disease, AAV gene transfer for CLN2, as well as umbilical cord blood (UCB)-derived Oligodendrocyte-Like Cells or human placental-derived stem cells (HPDSC) given with UCB stem cell transplantations for NCL disease. CLN3 competing drugs (all preclinical) include a TFEB-activating drug (Evotec & Beyond Batten Disease Foundation), INI-0602 and PDE4 inhibitors for aberrant glial activation (Pfizer & University of Nebraska Medical Center), ‘Exon-skipping’ drugs (Biogen Idec & Rosalind Franklin University), and ABO-201 as AAV gene therapy for CLN3 (Abeona Therapeutics). One clinical trial has been completed in CLN3, for CellSept (University of Rochester). PhD in Cellular and Molecular Biology from Tel-Aviv University, Israel; post-doctoral research at the Neuro-Oncology Branch, National Cancer Institute, National Institute of Neurological Disorders and Stroke, National Institutes of Health, MD, USA. Over 10 years of experience in cancer research, Dr. Nevo has significant leadership and management experience. Professor of Biochemistry, Molecular and Cell Science, Arkansas College of Osteopathic Medicine, AR, USA; PhD Chemist with more than two decades of experience in applied neuroscience research and development. Founder and Chairman of Israel Brain Technologies. Serial entrepreneur, responsible for founding and managing technology companies in various disciplines, including Chromatis. Served as Associate Director of the National Science Foundation Center at Columbia University.